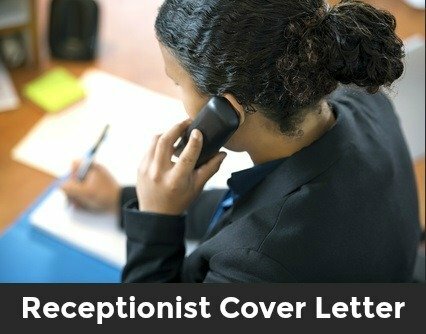 You can easily adapt this receptionist cover letter for your own use. Send a persuasive cover letter, get the employer's attention and increase your chances of getting the receptionist job. Package your background and experience into a professional and powerful cover letter that stands out and gets you the job interview. Highlight your strengths and skills as they relate directly to the job opportunity. Your job posting for a receptionist caught my attention straight away as my skills and experience are a close match to your requirements for this position. I would appreciate careful consideration of my credentials as outlined below and within the enclosed resume. 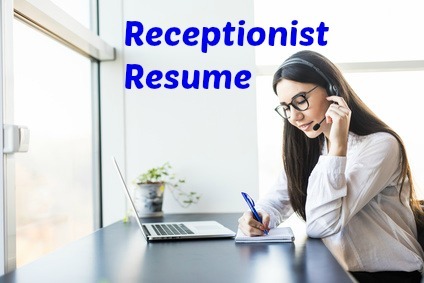 I have three years work experience as a receptionist in a large organization responsible for handling all calls and visitors in addition to providing extensive organizational and administrative support. I am a self-directed and independent worker who has taken the initiative to learn as much as possible about the company I work for in order to become a valuable information resource. Among my particular strengths are my organizational and planning skills. I have developed a number of processes to manage my many work tasks and make sure I meet the demands of a fast-paced work environment. I utilize technology to assist me wherever possible and have a good working knowledge of a number of computer applications including MS Office. My strong communication skills and an outgoing, energetic personality ensure first-rate customer service to both clients and colleagues. I thoroughly enjoy dealing with a wide variety of people and take pride in being a receptionist. ABC Company enjoys an excellent reputation and I am confident that I would be an asset to your company. I would appreciate the opportunity to discuss my abilities in more depth and am available for an interview at your earliest convenience. Please contact me via phone or email to arrange a convenient time for us to meet. Thank you for your time and consideration and I look forward to speaking with you soon. Need help with writing a good resume? Use the sample receptionist resume to build an excellent resume. 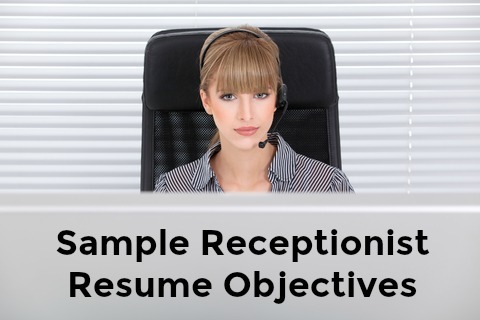 Job-winning receptionist resume objective samples. Use this detailed receptionist job description for a list of job duties and competency requirements for a receptionist.